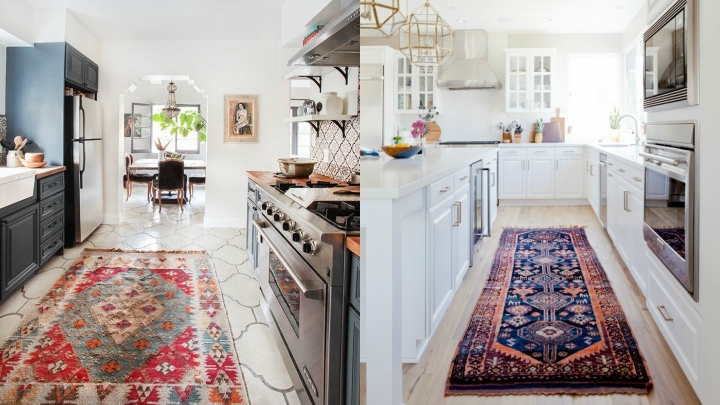 Decorate the kitchen with a carpet (or more) is something you love or almost equally shocked. This is not to put a delicate Persian rug because we’re going to step on a lot and can fall dirt, as indeed it happens … So it’s a matter of putting a carpet that you can wash and resistant in order to give some warmth and a different touch to this room. Today we will see how you can enter it in the decor of your kitchen, a aesthetic element and also practical, as we see below.